The mayor of Fall River, Massachusetts has returned to work, a day after being arrested on wire fraud and filing false tax returns. After pleading not guilty, Jasiel Correia says he will not resign as mayor. The embattled mayor of Fall River, Massachusetts, has been served a notice to evict from his home, authorities confirmed Monday. 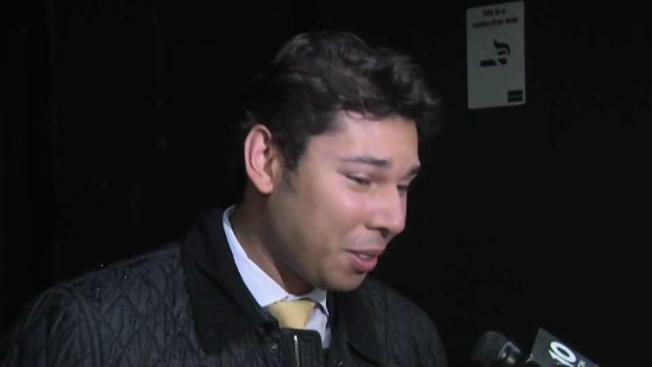 Fall River Mayor Jasiel Correia was arrested last week and pleaded not guilty to charges of wire fraud and filing false tax returns. The Bristol County Sheriff's Office said Monday it had served the eviction notice to Correia's home. Republican Gov. Charlie Baker, whom Correia endorsed for re-election alongside nine other Democratic mayors in Massachusetts, called for Correia to "step aside" after his arrest. Correia returned to work Friday. He pleaded not guilty to the charges and said he has no plans to resign. "I love each of our residents and I thank them for electing me and I will continue to serve," he told NBC10 Boston as he walked into work. "That's what I'm going to do." The mayor is expected to speak at 11 a.m. Tuesday to media and supporters at the Fall River Government Care Center. Correia was a city councilor when he was elected mayor in 2015. At age 23, he became the youngest mayor in the city’s history. He defeated former Bristol County District Attorney Sam Sutter, who became Fall River's stand-in mayor for nine months following a vote recalling Will Flanagan.